Regular readers of Hookedblog will know about our passion for fanzines and artist-produced books so you can imagine our excitement when the post arrived today with the delivery of Sheffield based artist Phlegms newest production. 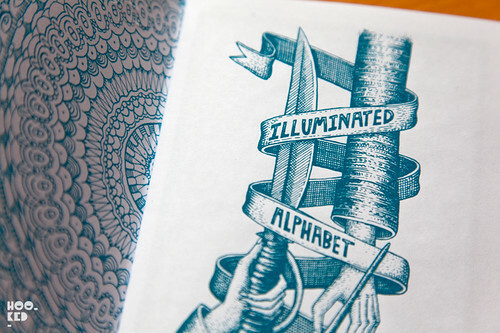 The artists latest zine titled 'Illuminated Alphabet Zine' is a postcard-sized book of illustrated type. 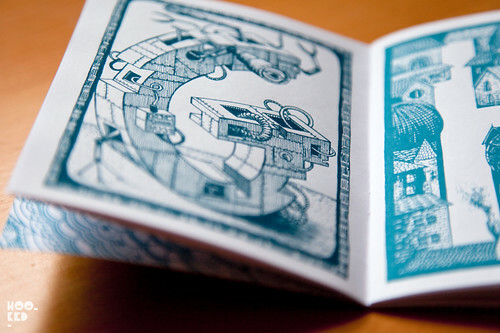 Phlegm has handmade, illustrated and screen printed the entire thing himself, 28 pages in various shades of blue, on lovely recycled and unbleached paper. 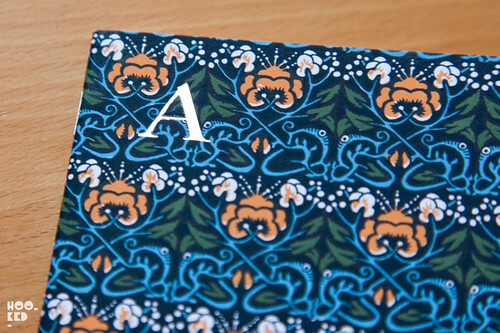 The cover features an elaborate four colour screen printed design(pictured above) with the added bonus of some silver foil embossed letters on both the front and back cover. The zine has been beautifully produced and printed by the artist and you can see the love that has gone into making this new book. We were equally impressed with the artists' previous efforts but this latest book has really impressed us and has certainly raised the bar. We can't wait to see where the artist goes with his next zine. Below are a couple of photos from the zine. 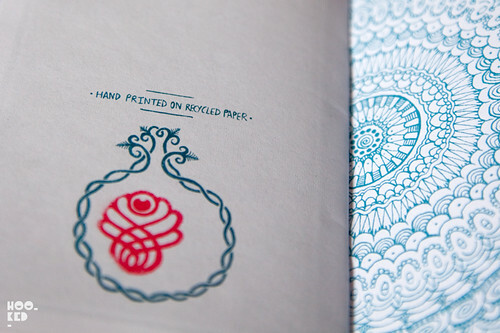 The Illuminated Alphabet Zine is on sale now via Phlegms online shop. Including postage and packing it's £10 for the UK and £11.50 outside of the UK. There is also a simple cover edition available which is £7.50 for the UK and £9 outside of the UK. 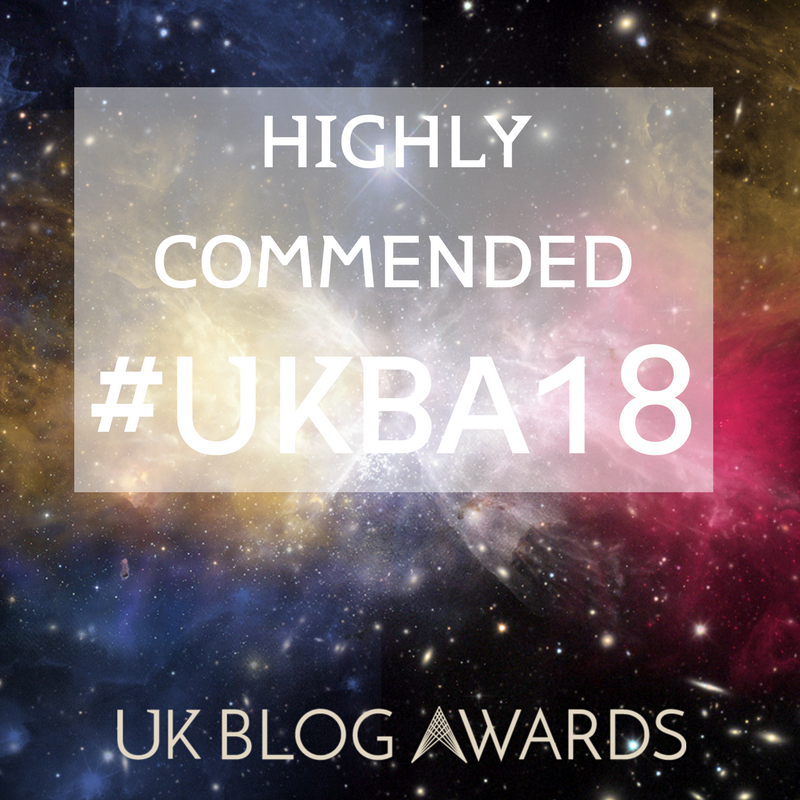 Don't miss out and order yourself a copy now!